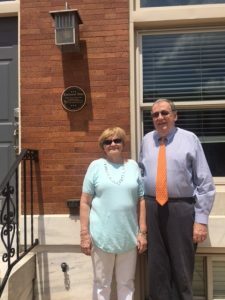 The Baltimore Centennial Homes project, developed in collaboration between Baltimore Heritage and City Councilman James Kraft, recognizes families that have been in the same house for 100 years or more. These families have anchored Baltimore’s historic blocks and neighborhoods through good times and bad. 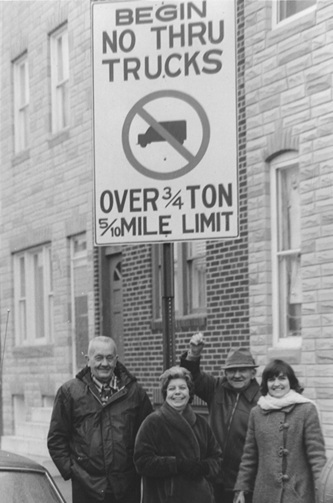 Their stories show the changes that our communities and our city have experienced as well as the critical roles that neighborhoods and their families have played in keeping historic neighborhoods thriving. The Centennial Homes program has received generous support from the Maryland Humanities Council and the Middendorf Foundation. 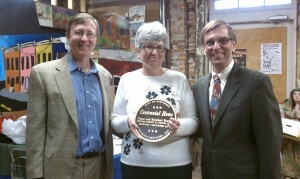 Baltimore Heritage board member Lisa Doyle has served as the volunteer program manager for the Centennial Homes program since 2009. Photograph of John Pente with daughter Margaret and son-in-law Al Schwartz, courtesy of Lisa Doyle. 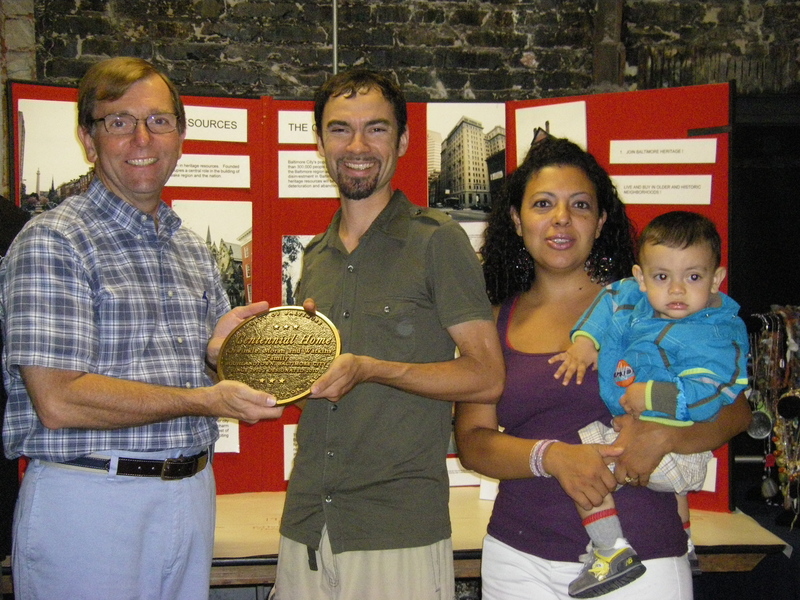 The following Centennial Homes families kindly worked with Baltimore Heritage volunteers to develop short family profiles about their roots and their long histories in Baltimore. 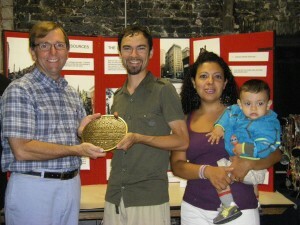 Councilman James Kraft presents a Centennial Homes Plaque to the Watkins Family at Highlandtown’s Salsapolkalooza, July 2010. Photo by Lisa Doyle. 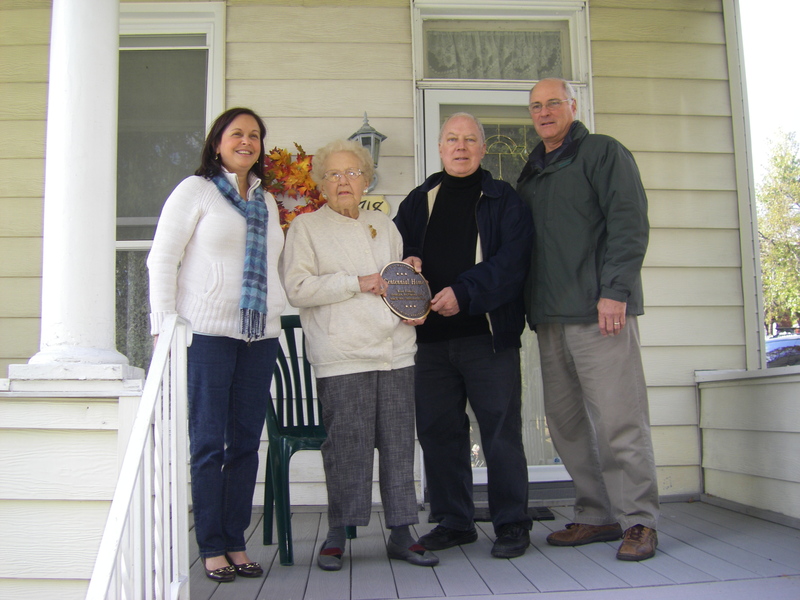 Baltimore Heritage board members Lisa Doyle (far left) and Bill Eberhart (2nd to right) present Norma Rist with a Centennial Homes Plaque with neighbor Dennis Robinson. Photo courtesy Lisa Doyle. 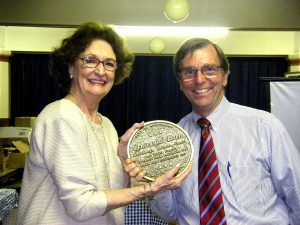 Councilman James Kraft (right) and Baltimore Heritage Director Johns Hopkins present Jane Buccheri a Centennial Homes Plaque at a Hollins Market neighborhood meeting. By Lisa Doyle. 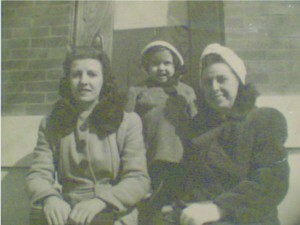 Barbara Baynes (middle) with her family on the steps at 643 South Kenwood Avenue. 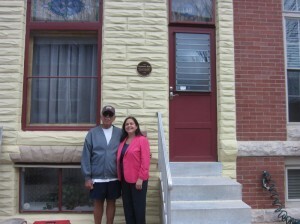 Roland Moskal with Lisa Doyle in front of 3408 Fait Avenue. Mary Alice Butts and Councilman James Kraft at a ceremony honoring Ms. Butts’ family and its 100 years in Patterson Park. Nancy McHugh Bradley and William S. McHugh in front of their Centennial Home on Fait Avenue. In 2016, we were proud to add the eleventh Centennial Homes Family to our growing list: The Miller, Rapp, Blaney and McHugh family. Since 1916 (four years before Prohibition began), members of this clan have been stalwart parts of the community along Fait Avenue in what is today called Brewers Hill and back then actually had breweries brewing beer. There are now nearly a dozen Centennial Homes families identified in ten different neighborhoods across Baltimore, with new leads on possible 100-year owners coming in regularly. As we work to preserve our buildings and neighborhoods in Baltimore, the Centennial Homes Program helps us focus on an essential component: these unsung people and families, whose voices and daily efforts to care for historic communities cannot be forgotten. Has your family or a family you know lived in the same house for over 100 years? If so, we would love to hear from you. 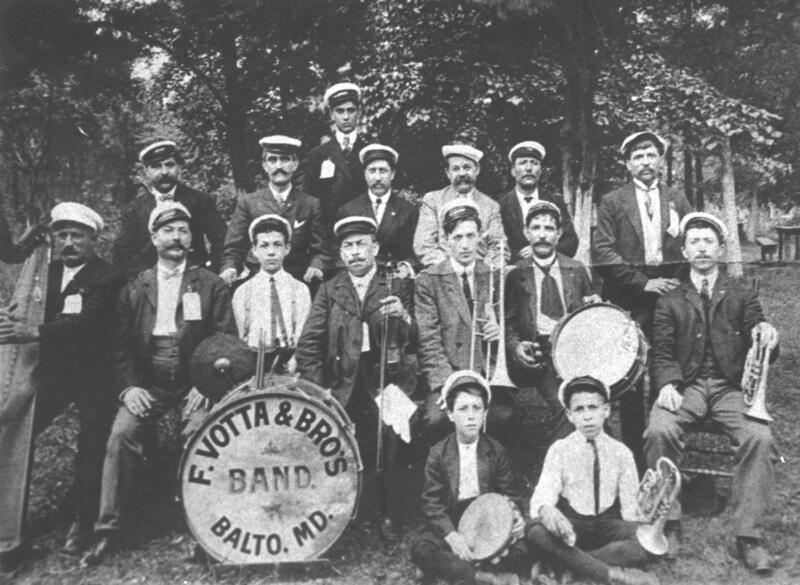 For more information, contact Baltimore Heritage today! Your house must have been owned and inhabited continuously by members of the same family for at least one hundred years. The line of ownership from the first family member owning the building to the current owner may be through children, siblings, nephews or nieces, cousins, marriage, or adoption. 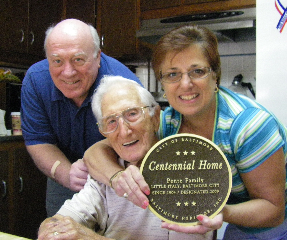 Only the legal owner(s) of the property may apply to the Centennial Home Program. Co-owners by multiple family members (e.g., husband and wife, brother and sister) are eligible for a single award. Owners must either live in the house or rent it to a relative. If the site is leased to a non-family member, it is not eligible.